I noticed something this morning when I was in the middle of writing an email. The words were flowing as smooth as a glass of fine wine. I started paying more attention. And realized that I was allowing myself to go a bit deeper emotionally in my response. So I stopped and thought for a bit, and realized why this was. Because I've been jingling every morning again. Now, I'm an inveterate journaler. I've written about journaling over and over again, so much so that you are no doubt sick of it. Recently, I was reading Katrina Kenison's memoir, The Gift of an Ordinary Day, and in one scene she is delighted to find that over the last 18 years or so, she has filled 10 to 12 journals. Um, I'm filled hundreds. I have tubs of them in the downstairs closet, and more bursting out of cardboard boxes in my office. So I've got some journaling cred. But every once in awhile I take a break from it. I decide that I should get right to my novel writing first thing in the morning, since it is the most important thing in my life and all the experts say to do that first. So I shun my journal and go do my other work. And then something calls me back. Take special note of that last item. If I take time to write in my journal, those words breed more words. Has anybody else ever noticed that? The more I write, the more I'm capable of writing. It is almost magical. 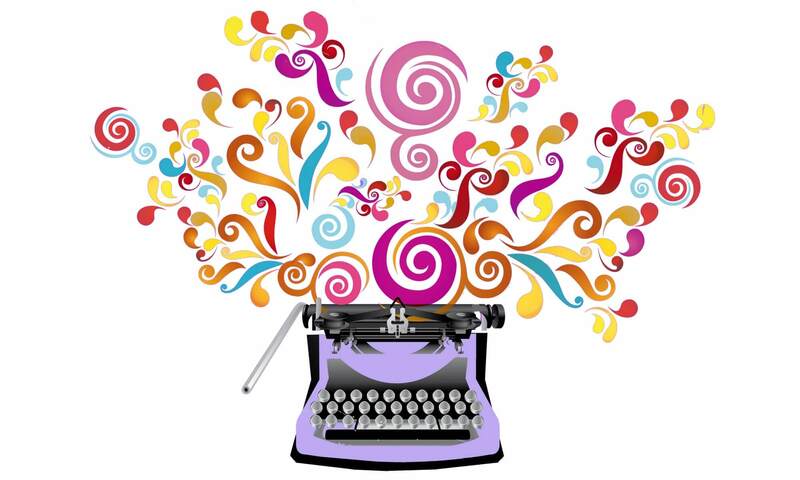 One of the reasons this may be is that the act of writing in my journal shakes loose the muse and often what I write about is how I want to do a certain scene in my novel. Nearly every day, a blog post comes through. I get ideas for all kinds of things. So. 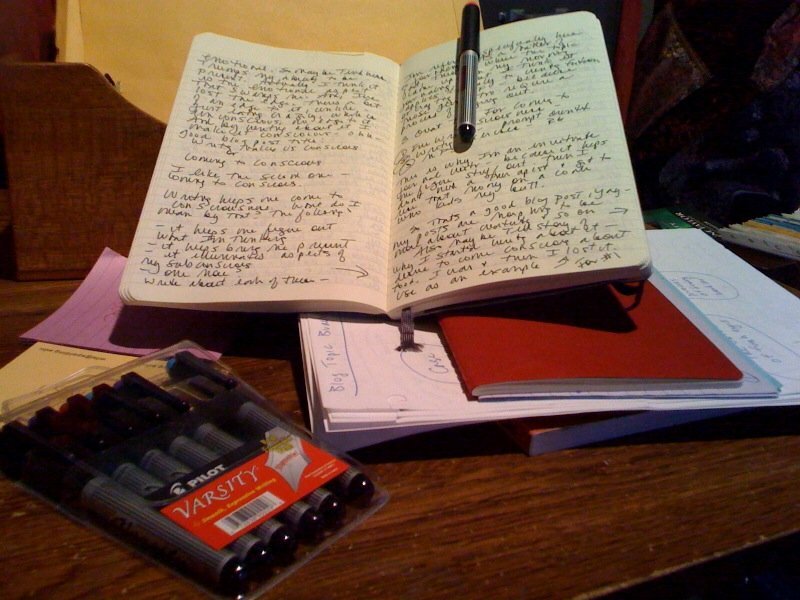 Writing in your journal doesn't have to take up your whole day, and it doesn't have to be first thing in the morning. Pull out your moleskine at lunchtime and write for 10 minutes, or have a mini-writing session during your afternoon coffee break. You'll be amazed at what happens. I found you on Twitter and I’m now following you. I’ve been ignoring my journal lately but maybe it’s time for me to get back to it. Writing remains a challenge for me. I need to do it but words do not come easily. May look like they did on the page but my reality is different. Julia Cameron swears by the ‘morning pages’. The more we write the more we can write. Thanks for the reminder! Hi Maryse, I’m glad you found me, too! 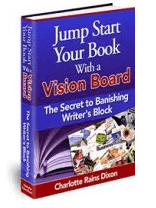 I hope that you do get back to journaling–I think it might help you with your writing challenge. Thanks so much for dropping by. The line “Writing breeds more writing” has me intrigued. I’ve never really journaled, but maybe I’ll give it a try now. Christi, Yay! I hope you like it. And please report back so we can hear how it is going. Patty, I was so delighted to find your blog, so thanks for coming back here to visit me. I got to it on one string or another on Twitter, I believe. Anyway, I am an avid believer in journaling, in case you hadn’t guessed, because it does so often lead right into a blog post or scene for my novel. I highly recommend writing with pen and paper for journaling, it does make a huge difference. Please let me know how it works out for you! True, true. And then my favorite: it clears the emotional clutter so that you can get on with life. I realized I’m feeling constipated, of sorts, bc I’ve not been writing daily–due to time…. Hi Leisa, Yes clearing the emotional clutter is another great reason to journal. I know you have your fingers in a lot of wonderful pies, and you have such a powerful message to share with the world. Try writing even for 5 minutes a day and see what happens.